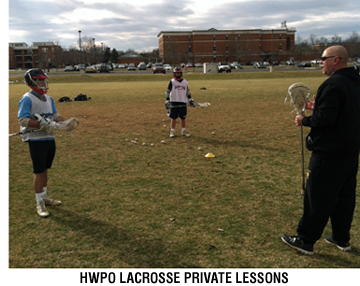 HWPO Lacrosse provides private or small group instruction to all age groups, positions, and skill levels. Lacrosse players will receive private instruction from NCAA College coaches & players! The personal attention and detailed skill instruction will benefit you whether you are a beginner looking to make a middle school team or an experienced player hoping to start on varsity next season. Sessions can be customized to work on a specific facet of the game, or instructors can offer a wide variety of skills and techniques. We work to identify the areas of your game where you can improve the most and customize our lessons to take your game to the next level. If you have special requests just give us a call and we can work with you. Our goal is to make you a better player! As your schedule permits. Call or email Coach Grant to schedule.